Let My mind be in you this day, says the Lord. I am calling you up to a new level in Me. Come up higher. Come higher. Come empty before Me in My presence and abandon your mindset, your limited thinking, and allow My higher thoughts to be in you. You do not have to rely on what you now know. What you have done in the past is not adequate today. I Am giving you MY wisdom and knowledge that will resolve all the issues of your life as you empty yourself out of your own ideas and allow Me to download My plan into you. Yes, I have endless wisdom and knowledge that is available for you, for I Am the all-wise, all-knowing God in the midst of you, says the Lord. Do not lean on your own understanding. It will fail you. Acknowledge Me as the Lord of your life, and I will direct your path. I will give you My superior wisdom and knowledge and will order each step that you take. It will work every time! I know what lies ahead, and when I said I go to prepare a place for you, I wasn’t just taking about heaven, says the Lord. I prepare for you what you need before YOU get there on earth because I am that EVER PRESENT help. I am way ahead of you, and I know what you will need and exactly what path you are to take that will advance you. 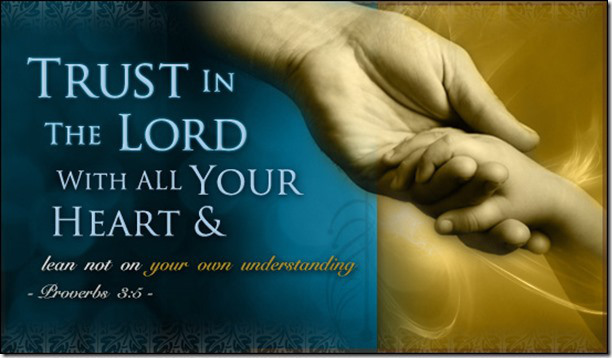 You can trust My plan for your life, says the Lord. I will never lead you into a snare…that is the plan of the enemy! I know what he is up to, and I will expose and foil his plan! As you pray, “Thy Kingdom come, thy will be done on earth as it is in heaven,” I prepare for your future and lead you toward your purpose and destiny in Me that will fulfill every kingdom assignment that I have created you to accomplish. I will fully equip you and give you My perfect strategies and help you every step of the way. I Am giving you MY higher thoughts and ways, as you abandon your own and follow ME, says the Lord.